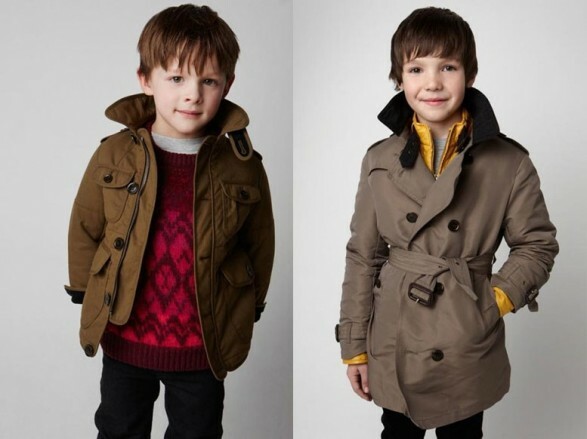 The collection of Burberry childrens is a full stop. I’m just amazed, and I say that I love all to myself. They are not formal proposals as Dior or as informal as McCartney kids. Like children who go to work. I love the thick jacket with golden belt, very combinable with any pants or dresses. The best part? The variety of coats. They come in all types: military style as blue, orange minimalist as video or feminine layers to the mother and daughter alike you go. The Thomas Burberry tartan patented in 1924 and with which his name has become world-famous stamped on all kinds of garments, nor lacking in the children’s line. Here he is in a beautiful dress Lanita.